In Central African Republic, violence reached another peak last Thursday as dozens were killed in the small town of Alindao, in the south-east of the country. On 15 November, armed men believed to be members of a Séléka off-shoot known by its French acronym UPC (Unité pour la Paix en Centrafrique), a mainly Muslim and Fulani militia, stormed the cathedral and the nearby refugee camp hosting more than 26,000 people displaced following previous attacks in the town and its surrounding villages. Last year, the same town suffered a bloodbath also attributed to UPC militants. According to Amnesty International, 130 people were massacred on 8 May 2017, though credible sources estimated the toll reached several hundred. 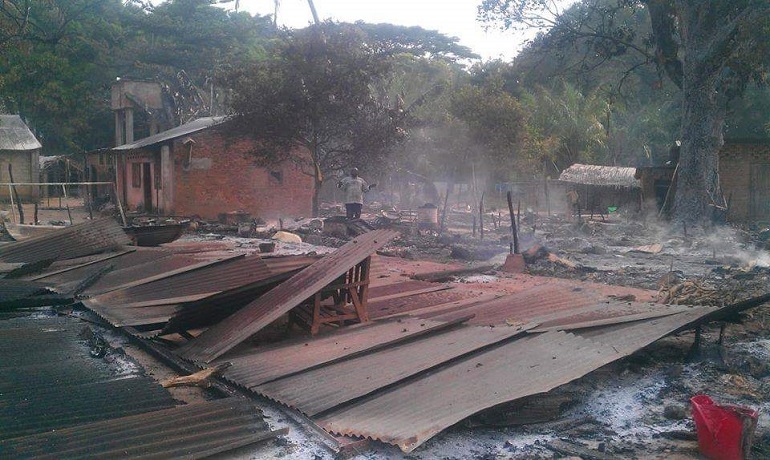 The victims were Christian townspeople and villagers, perceived as supporting armed groups that oppose UPC’s rule. The group moved to the area in 2014 when the Séléka coalition (which took power in March 2013) was disbanded. Since then UPC militants have committed numerous abuses against civilians, prompting reaction from local self-defence militias, often referred to as Anti-balaka (“Anti-machete”). 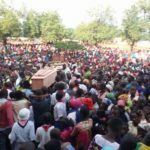 Last week’s massacre followed the same pattern and was said to have been triggered by clashes between militiamen, following the killing of a UPC fighter. Early reports suggest that more 40 people lost their lives during the killing spree carried out by UPC militants but other sources estimated that as many as 100 people may have been killed. Testimonies and pictures gathered by World Watch Monitor revealed the scale of the devastation as dozens of bodies littered the ground, mixed with the burned debris of tents and other belongings of the IDPs. Some of the victims were burned beyond recognition, while others had been shot or dismembered with machetes. Juan Jose Aguirre Muños, Bishop of Bangassou, adjacent to that of Alindao, also gave chilling details of the attack. 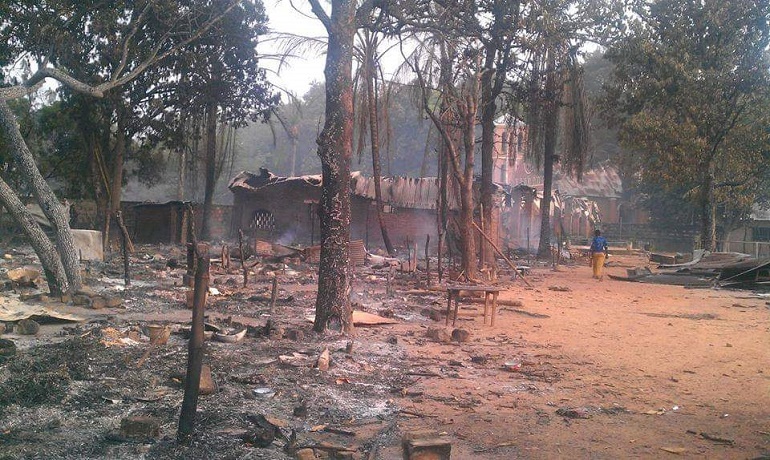 “The men of [UPC general] Ali Darassa assaulted, looted and set fire to the displaced camp and killed women and children; they burned down the cathedral where they killed the two priests,” he told Fides agency, adding that “immediately after the UPC mercenaries allowed groups of young Muslims of the western part to enter the eastern part of Alindao and looted the bishop’s residence and burned the presbytery and the centre of Caritas”. 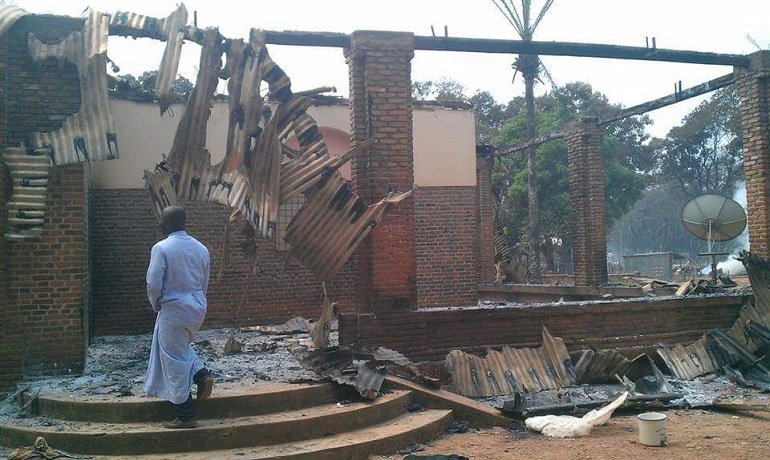 In a statement published on Friday 16 November, the Central African Episcopal Conference denounced the massacre, stating that the Catholic Church “has become the target of armed groups in Central Africa”. Since the beginning of the year, five Catholic priests have lost their lives in various attacks attributed to ex-Séléka militants, as World Watch Monitor has reported. In June, Fr. Firmin Gbagoua, 52, was fatally wounded when gunmen stormed the presbytery of St. Joseph’s Cathedral of Bambari, in the centre of the country. A month earlier, on 1 May, Fr. Albert Tougoumalé Baba, 71, was killed when armed men from PK5, a predominantly Muslim neighbourhood of the capital Bangui, stormed the Parish of Our Lady Fatima during a Mass. In March, the same Diocese of Bambari lost another cleric – Fr. Désiré Angbabata, parish priest of Séko, a village about 60km from Bambari. He was killed by UPC militants along with a dozen members of his church. In January, Fr. Alain Blaise Bissialo from the Diocese of Bangassou was severely wounded and left for dead, but he survived his wounds. In their statement the bishops asked the government and MINUSCA (the UN Multidimensional Integrated Stabilization Mission in the Central African Republic) to “coordinate their actions so that the perpetrators of these crimes and their instigators are arrested and brought to justice”. Cardinal Dieudonné Nzapalainga, the Archbishop of Bangui, is due to visit the affected area. He was away during the attack, alongside the two fellow leaders of CAR’s interfaith platform, as the three clerics collected the Eliasson Foundation Global Leadership Prize 2018 in recognition of their work to overcome religious and civil strife. Cardinal Nzapalainga, Pastor Nicolas Guérékoyame-Gbangou and Imam Omar Kobine collected their award at a ceremony on 15 November in Mexico City. The government has also condemned the killing, and decreed three days of national mourning beginning yesterday, 22 November. The UN also strongly condemned the spike in attacks against civilians in Alindao and elsewhere in the country. According to local sources, Thursday’s massacre took place despite the presence of UN peacekeepers, believed to be from the Mauritanian contingent, at the Catholic compound. A Catholic priest told Fides that UN forces even withdrew to leave the refugees to their own devices. “From what I have been told by my contacts, the Blue Helmets of MINUSCA did not defend the population from the rebels who committed the assault in Alindao. At the arrival of the guerrillas they went back to their base, leaving the population to their fate of death and destruction,” said Fr. Amos Boubas, a Central African priest studying in Rome. This accusation was reiterated by Bishop Aguirre, who said that “as soon as the attack began, the Mauritanian Blue Helmets of MINUSCA withdrew to their base”. 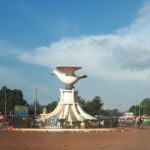 In reaction to the Alindao killings, the president of the civil society groups in CAR, Christian Beninga, called on the government to deploy FACA (the army) in order to ensure security in the town. He also called on the UN to withdraw the Mauritanian contingent and replace it with a “non-Muslim and more professional one”. 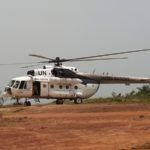 It’s not the first time that UN troops have been accused of passivity or even partiality in massacres committed by armed groups in CAR, though the UN has always denied any wrongdoing. On 5-6 August 2017, dozens of civilians were slaughtered in an attack by UPC militants in the south-eastern town of Gambo. Most of the victims were women and children, and many had their throats slit; others were burnt alive in their properties. Ten Red Cross workers were among those killed. The Moroccan UN troops, who were in the town during the violence, did nothing to prevent the killings or protect civilians, several local sources told World Watch Monitor. A month later, on 1 September 2017, dozens of people were killed as armed men invaded the south-eastern town of Zemio, despite the presence of UN troops believed to be from Morocco. 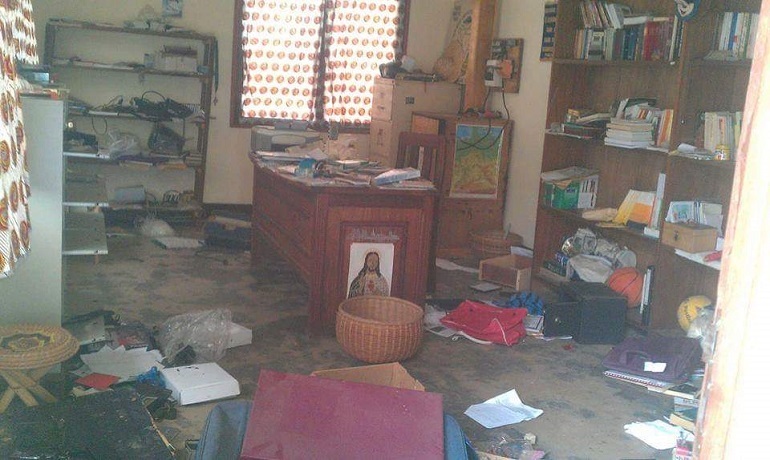 The assailants also looted and ransacked a number of properties, including the Catholic church compound, prompting some 15,000 people who had sought refuge there to flee to neighbouring Democratic Republic of Congo. 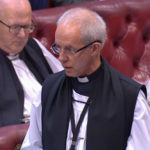 On 2 September 2017, Fr. Louis Tongagnesi was hacked to death by armed men at his farm in Zambaguia village, near Zemio. According to local sources, the killing was carried out by UPC militants. Later that month, on Friday 22 September, armed men attacked the north-western town of Bocaranga, forcing the vast majority of its 15,000 inhabitants, including women and children, to flee. The town was attacked and overran by armed groups, without any reaction from the MINUSCA troops, believed to be a contingent from Bangladesh. Despite the presence of more than 12,000 peacekeepers, the situation in CAR is still precarious as three quarters of the territory is occupied by numerous armed groups, responsible for myriad human rights abuses. According to the UN, some 2.9 million people are in need of assistance and protection in CAR. As of the end of October, over 338 incidents against humanitarian workers had been recorded, making CAR one of the most dangerous places on earth for humanitarian workers, said the UN.